Coptic Christian communities have been targeted in Egypt. Source: Hassiba Hadj Sahraoui, Amnesty International’s Deputy Director for the Middle East and North Africa. The new report published today examines events during the unprecedented wave of sectarian attacks in the wake of the dispersal of two pro-Morsi sit-ins in Cairo on 14 August. It details how security forces failed to prevent angry mobs attacks on Christian churches, schools and charity buildings, setting them ablaze and razing some to the ground. At least four people were killed. “It is deeply disturbing that the Christian community across Egypt was singled out for revenge attacks over the events in Cairo by some supporters of the deposed president, Mohamed Morsi,” said Hassiba Hadj Sahraoui, Amnesty International’s Deputy Director for the Middle East and North Africa. Amnesty International urges the Egyptian authorities to conduct an impartial, independent investigation into these sectarian attacks, and to take immediate steps to prevent their recurrence. A comprehensive strategy to fight discrimination against religious minorities must be devised and implemented. Discriminatory laws and policies must be repealed. “Failure to bring to justice those responsible for sectarian attacks sends the message that Copts and other religious minorities are fair game. The authorities must make it absolutely clear that sectarian attacks will not be tolerated,” said Hassiba Hadj Sahraoui. More than 200 Christian-owned properties were attacked and 43 churches were seriously damaged across the country in the aftermath of events on 14 August. Amnesty International visited sites of the sectarian violence in Al-Minya, Fayoum and Greater Cairo to gather evidence from eyewitnesses, local officials and religious leaders. In several instances residents said mobs of angry men armed with firearms, metal bars and knives had ransacked churches and Christian properties. Many chanted slogans such as “God is Great” or used derogatory terms like “you Christian dogs” as they launched their attacks. Historical and religious relics were desecrated. Graffiti left scrawled upon walls in the aftermath of the attacks included slogans such as “Morsi is my President” and “They killed our brothers during prayer”. The messages leave little doubt as to the sectarian nature of the attacks and link the events firmly to the crackdown against Morsi supporters in Cairo. Attacks were frequently preceded by incitement from local mosques and religious leaders. In Al-Minya, where most of the attacks occurred, a journalist, Zeinab Ismail, who witnessed scenes of violence, said attackers were armed with machetes and swords. Some residents were attacked in their homes. The body of a 60-year-old Coptic Christian man shot dead at home in the village of Delga in Al-Minya, was later dragged through the streets by a tractor. After he was buried his grave was dug up twice. There is a long history of abuse and discrimination against Coptic Christians in Egypt. A litany of attacks occurred under Hosni Mubarak, military rule and Mohamed Morsi. 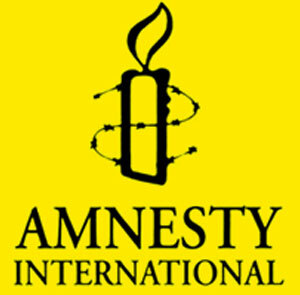 The release of Amnesty International’s new briefing coincides with the second anniversary of a bloody crackdown by the armed forces on protesters, outside the state television building known as Maspero in Cairo on 9 October 2011, in which 26 Coptic Christians protesters and a Muslim were killed. Impunity for these attacks is entrenched. For Maspero, only three low-ranking soldiers were sentenced to prison terms between two and three years for manslaughter. ‘Reconciliation sessions’ – the favoured method by authorities to resolve sectarian disputes in Egypt – have so far only consolidated the feelings of injustice among minority communities and allowed perpetrators to walk free. Proper mechanisms to protect religious minorities and safeguard their rights must instead be introduced. “For too long the Christians of Egypt have borne the brunt of sectarian violence. This pattern of inaction by the authorities must change,” said Hassiba Hadj Sahraoui.